The Lee Precision Load Master Progressive Press in pistol calibers(shown in the image at right with optional Lee Precision Case Collator which is sold separately) is a great choice if you are an experienced reloader and shooting more than 500 rounds of a single hand-gun caliber per week. However, change over from from one cartridge to another can be involved. And since the press is performing several operations with each pull of the lever, operating it requires more attention to detail than does a turret press or single-stage press. 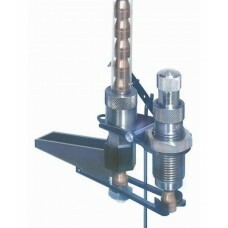 If you are loading limited quantities of many different cartridges a Turret Press is probably a better choice. 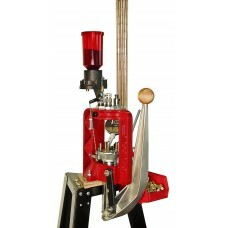 If you are new to reloading we strongly recommend you start wiith a single-stage press like the Lee Precision Breechlock Challenger Press or Lee Precision Breech Lock Classic Cast Press. If you have never reloaded before, a single-stage press kit like the Lee Precision Breech Lock Challenger 50th Anniversary Kit is a great way to get a basic reloading set up in one package. Each Load Master comes equipped with Lee Precision Carbide dies, Lee Precision Pro Auto Disk and Lee Precision Pro Case Feeder Small or Lee Precision Pro Case Feeder Large. NOTE: The Lee Precision 3 Hole Turret and Lee Precision 4 Hole Turret Turret will not fit the Load Master. Order Lee Precision 5 Hole Turret (shown in the image at right) if you wish to have additional turrets pre-set up with dies for caliber quick change on your Lee Precision Load Master press. The Lee Precision Load-Master.32 S&W (Smith & Wesson), .32 H&R (Harrington & Richardson) Press has m.. The Lee Precision Load-Master .40 S&W (Smith & Wesson) Press has many advanced features. It allows .. 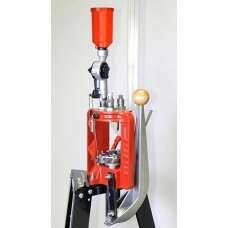 The Lee Precision Load-Master .45 ACP (Automatic Colt Pistol) Press has many advanced features. It a..